Beautiful templates picked by us for all your website needs. 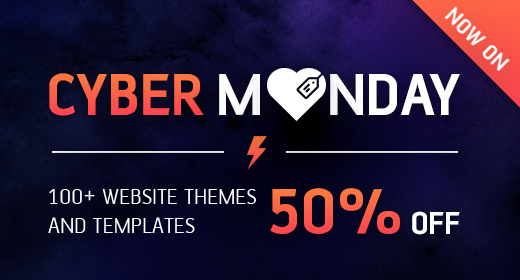 Whatever your project, get a new template for 50% off. From 2pm Nov 24 – 2pm Dec 1 2016 AEDT. All items are already listed at the reduced price for this promotional period, full price retrieved as of 27 October 2016. If you have item specific enquiries or requests, kindly contact the authors themselves. Check out all our items from CodeCanyon, VideoHive, GraphicRiver and AudioJungle too!